The office of CARMAN has provided planning, design and engineering services for Transylvania University for a new urban infill athletic campus located on the west side of downtown Lexington. The site is located on 4th Street in Lexington, Kentucky, a few blocks from the campus of Transylvania University. Currently, various athletic facilities are located within the central campus and relocation of these fields will provided much needed growth opportunities for academic and residential facilities located in the campus core. The office of CARMAN has provided site specific design and engineering services for a new competitive running track and associated field events. In addition, the synthetic field has been designed for use by men’s and women’s soccer, lacrosse and field hockey. 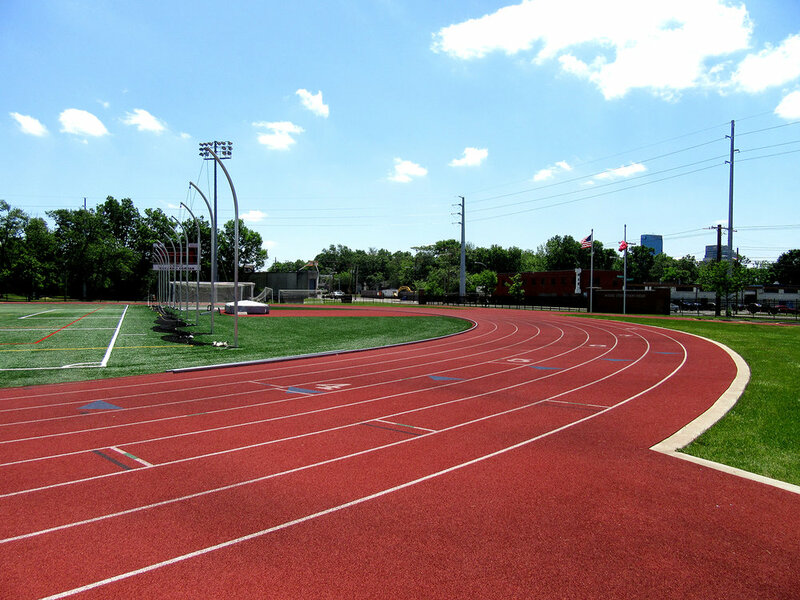 All track and field areas have been design in compliance with NCAA standards and the facility has been designed to accomodate regional meets and sports events. CARMAN has also provided site design for the new grandstand and press box, parking areas that will accomodate both vehicles and team bus parking. All local and State permitting was coordinated by the CARMAN office. The athletic facility was completed in the fall of 2013 and has been used for NCAA events since that time.